I am a huge believer in the powers of Activated Charcoal. It has saved me from food poisoning after a Hawaiian Lu' au, freshened up a nose turning laundry room, clears pores, and whitens teeth. There are so many uses for it! I have been making my own charcoal masks for years, but the straight powder was a little harsh on my sensitive skin. 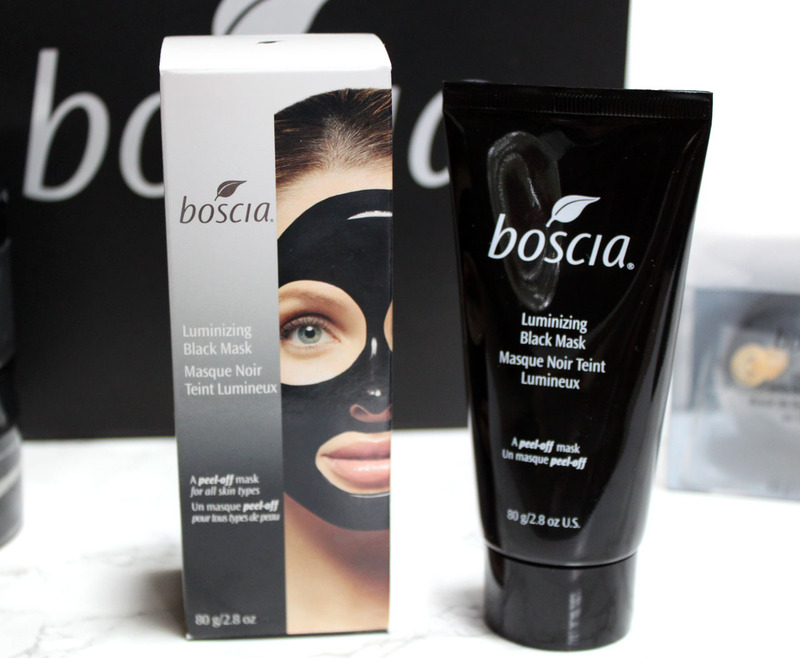 The Boscia Luminizing Black Charcoal Mask was a the perfect replacement. I have been using this mask since it came out, so I was excited to try out a few of the other products from the Black Charcoal line. I'll admit some of them sound and look a little weird, so hopefully this review will change your mind about putting black goo on your face! Yes, it looks weird going on but it's oh so magic for the skin! 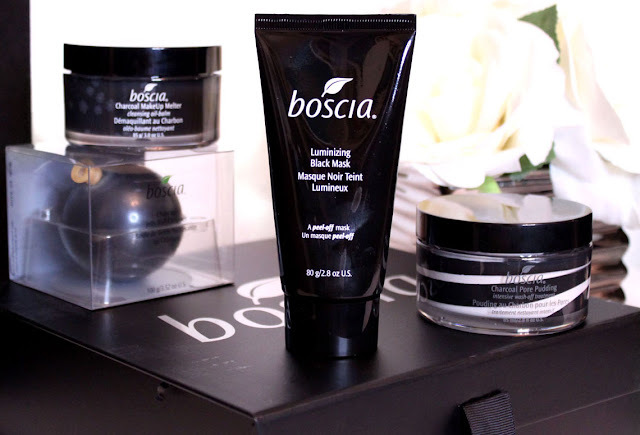 boscia is a preservative-free, natural beauty line targeting a range of skin-care needs. Using the gentlest and most effective ingredients in nature, they work to create radiant and healthy complexions. 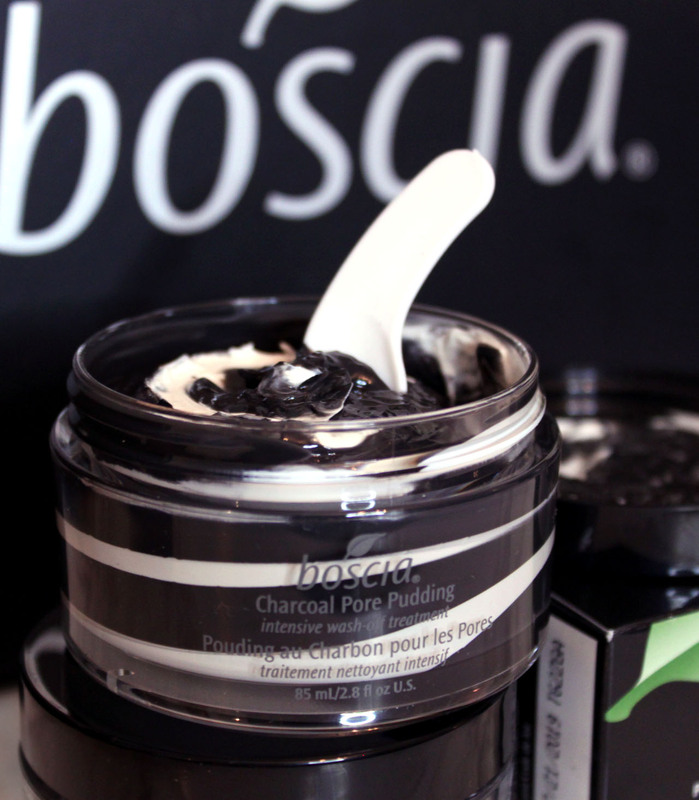 This unique peel-off mask is filled with powerful antioxidants, such as activated charcoal, that help visibly shrink pores, firm skin, reduce redness, and strip away dead skin and impurities for noticeable results. 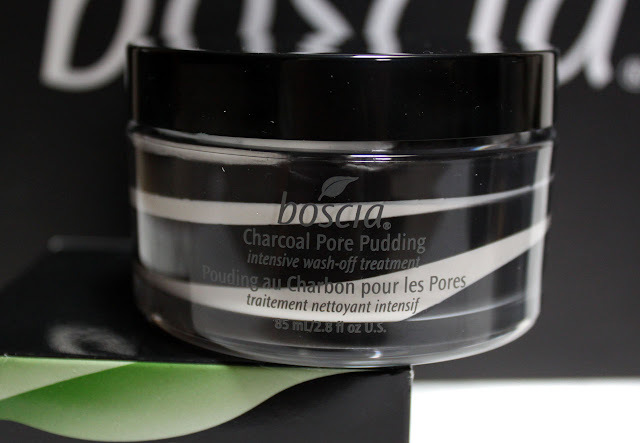 An innovative, powerful, mineral-rich mask infused with activated charcoal that peels off to deliver powerful detoxifying, purifying, and brightening effects. It's great for all skin-types. This mask is so awesome and way too much fun to wear. Instead of a rinse-off mask with this one you peel it off. You can almost see the gunk coming out of your pores and even see it on the under-side. Boscia Luminzing Mask does everything it claims to. It removes impurities and excess oil, makes pores look smaller, and leaves a lovely healthy glow to to your skin. This has become one of my favorite skin masks to use and I have a lot! This mask is the best of both worlds. 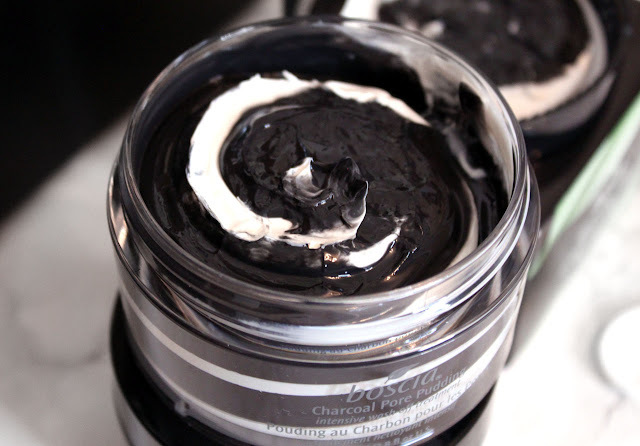 It has a black and white swirl of Activated Bamboo Charcoal and Binchotan White Charcoal Powder. The black detoxifies the pores while the white hydrates. It's the most luxuriously creamy texture product I have ever put on my face. It literally feels like silk pudding. The swirl effect is so neat you almost don't want to mess it up. Once combined it creates a grey mask that you leave on for 15-20 minutes. Much like the Luminizing Mask this also clears your pores and leaves your skin glowing. 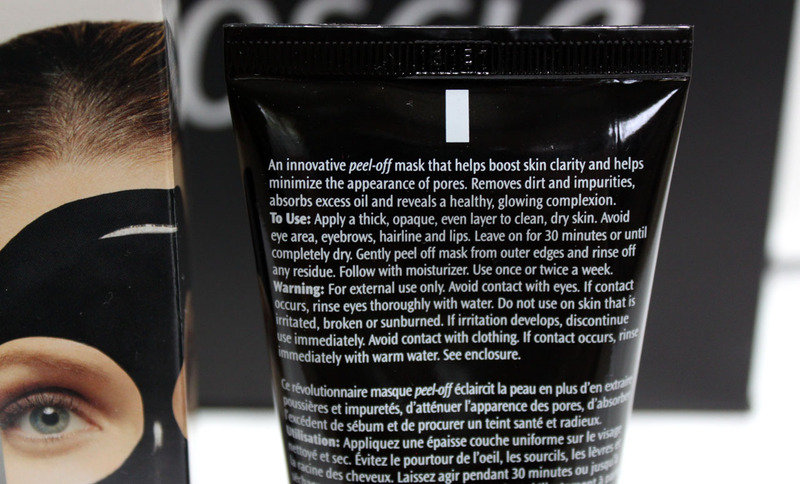 It's like instant gratification or rather 20 minutes to a gorgeous complexion. My skin feels so soft and super clean after I use this. 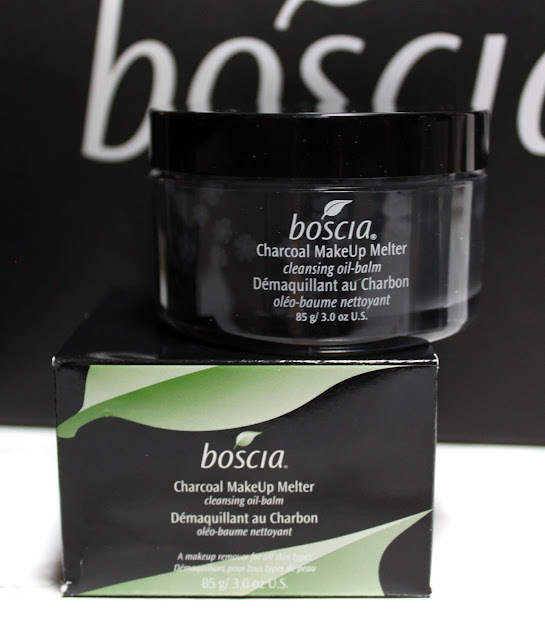 Even though charcoal is quite powerful, my sensitive skin is never irritated or red after. The fresh herbaceous scent and texture has you feeling like you are at a spa. I have been using this weekly I love it so much. You get a huge amount in the tub so it will last quite awhile. This oil-balm formula gently yet effectively removes makeup and impurities. Sunflower oil carries black and white charcoal—which detoxify and balance skin—into skin to remove even the toughest waterproof makeup with no tugging or pulling. 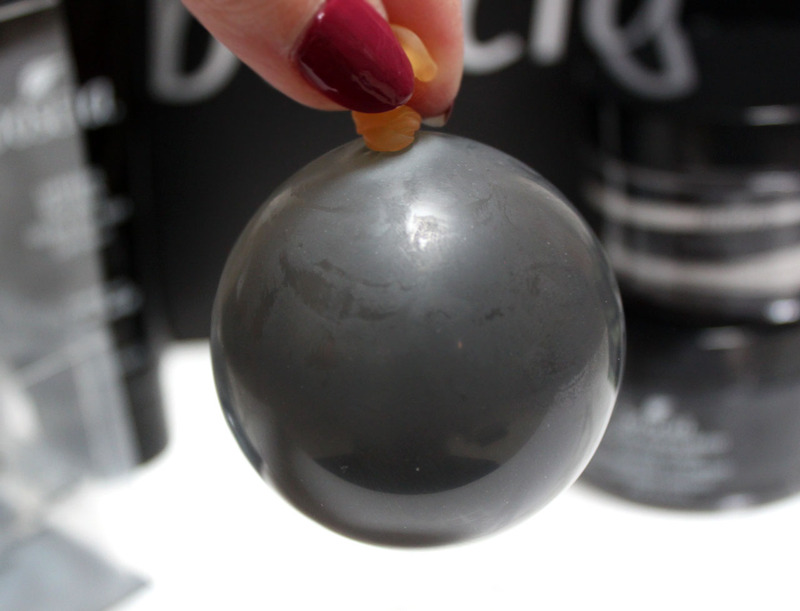 Okay, so putting a black balm on your face to remove your makeup seems completely insane. It's like totally the opposite in your mind of what you want to happen. 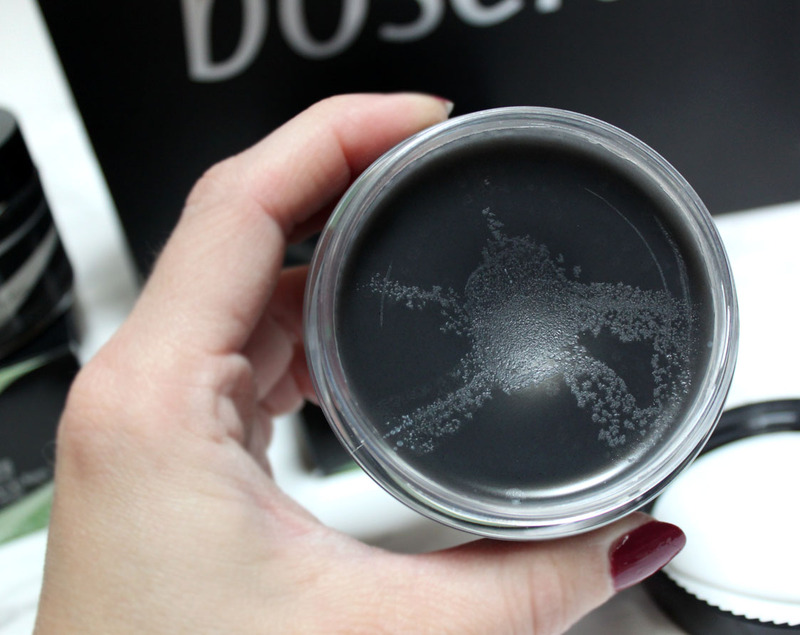 We normally try to remove all that black residue coming from our liner and mascara! It really works though, even on water-proof mascara. I normally remove my makeup with a makeup remover wipe, but I really liked how this took off my eye makeup especially. It melds in to the skin, emulsifying in to a milky cleanser that makes wiping away makeup effortless. I don't use this daily, but for those days when I have heavy makeup on it is my go-to makeup remover. All remnants of makeup are removed and your skin just feels clean, hydrated, and makeup free. 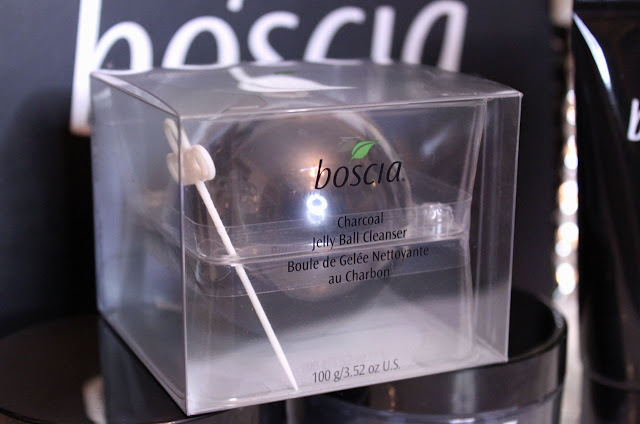 If you thought the black melting balm was the craziest product in the line, nope it's this Jelly Ball Cleanser. How crazy cool is this thing? It is based off of the boscia Japanese Cleansing Ritual. For centuries, the cleansing ritual has been seen in Japan as the most important step in maintaining flawless skin. After you "break" the ball from the balloon casing you just squish it to release the cleanser. It feels like one of those squishy stress relief balls. A very interesting experience to say the least! There is no gimmick here though, the cleanser is actually really really nice. I have been using it nightly for the past month and I am sold on it. It cleanses well, removing all leftover traces of my makeup while being gentle. There is no dry or tight feeling after wards just a super clean feeling. My skin hasn't had a break out all month even though the stressful holidays! 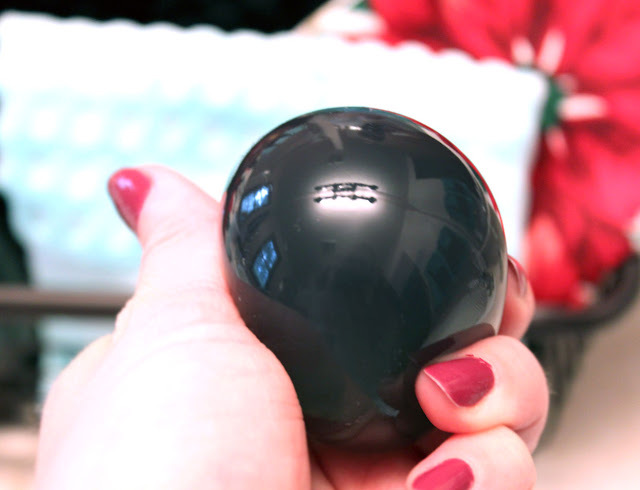 I am not sure how practical the jelly ball is, but it's a lot of fun and it works! There also seems to be quite a bit of product inside it.